I used to think that decoration was something negative in art: something that I always wanted to avoid. (I remember a tutor of mine once saying that one of my paintings was like a curtain design and being annoyed.) But when you are dealing with death, decoration is a humble thing – it works really well. So I started thinking about decoration and death. Decorating something you don’t understand is a great way of coming to terms with it. not that you ever understand it. Then I asked myself: what is the ultimate way to pit yourself against death? And diamonds came into my mind. 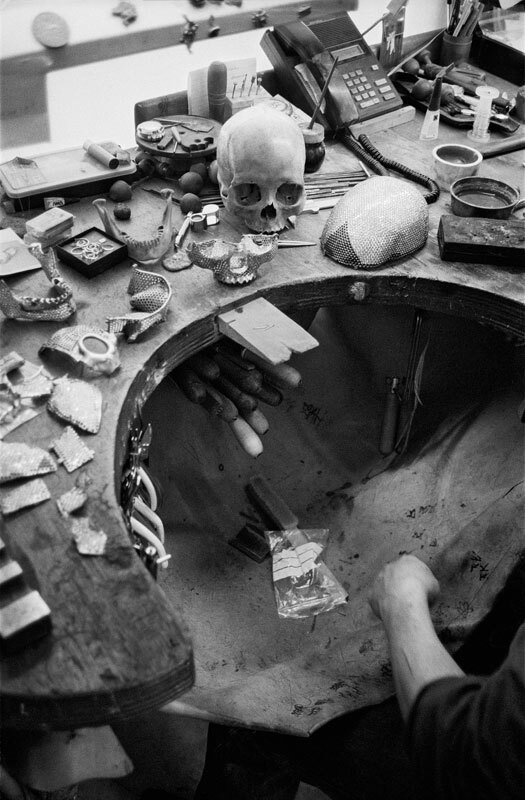 Previously, I had made two artworks, 1000 years and 100 years, which are dark views of death. I felt that the further away from life we get, the darker we get. With the skull, I wanted to make something less like that. 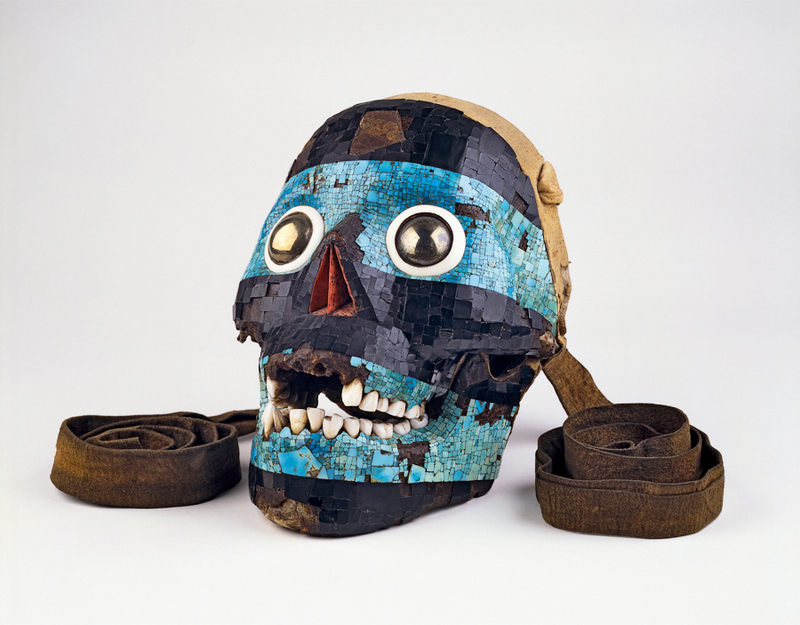 As well as Steven Gregory’s skull, where he had glued transistors from radios all over the head, I had seen the Aztec skulls in the British Museum, especially the mosaic skull of Tezcatlipoca. 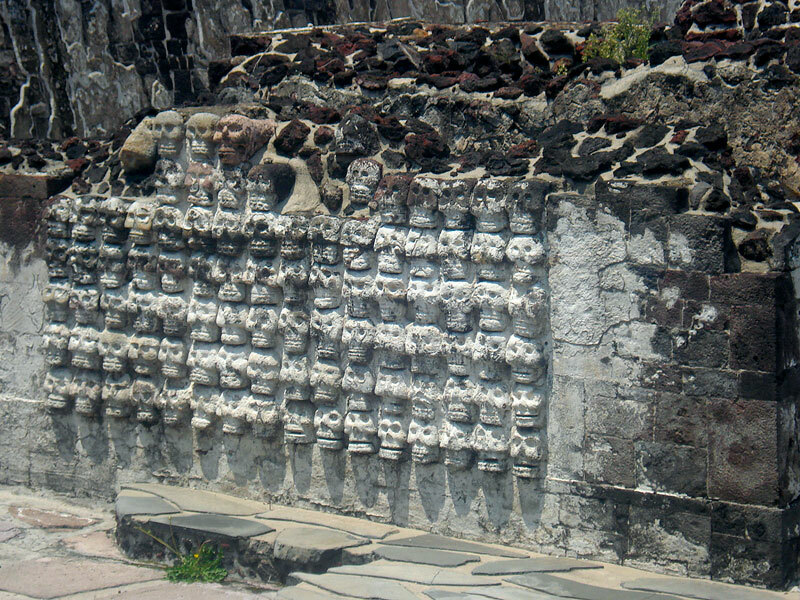 I had also seen the decorated skulls at the Templo Mayor in Mexico City – the site of what was the Aztec capital Tenochtitlan. I thought all these were amazing. the way the Mexicans have embraced death is something that inspired me. The whole country’s mascot is death. it is such a brutal country with a history of bloodshed and religious screw-ups, and all this is fused together. They walk hand in hand with death. They celebrate the Day of the Dead and have parties in their families’ graveyards. it is a healthier approach to death than ours. The title of the piece, For the Love of God, came from my mother, who used to say whenever I had a crazy idea: ‘For the love of God, what are you going to do next?’ So it works as both a throwaway comment and a powerful statement.